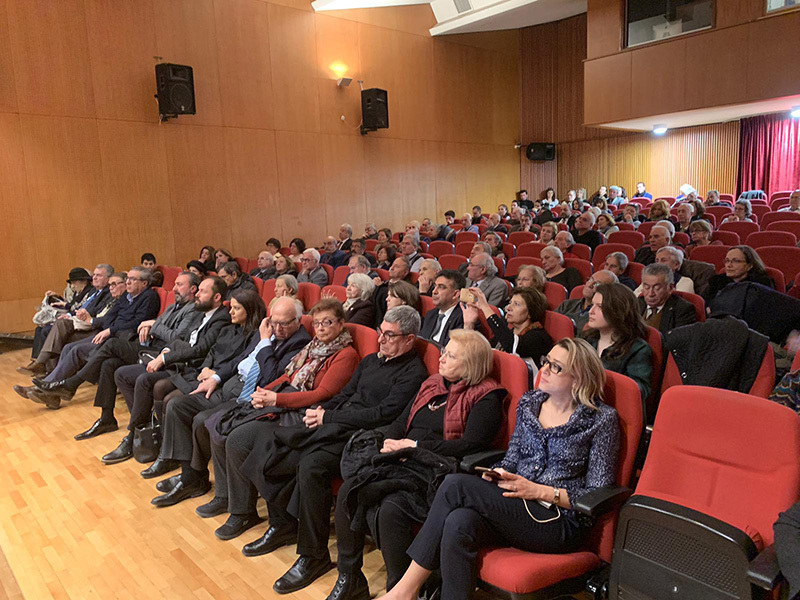 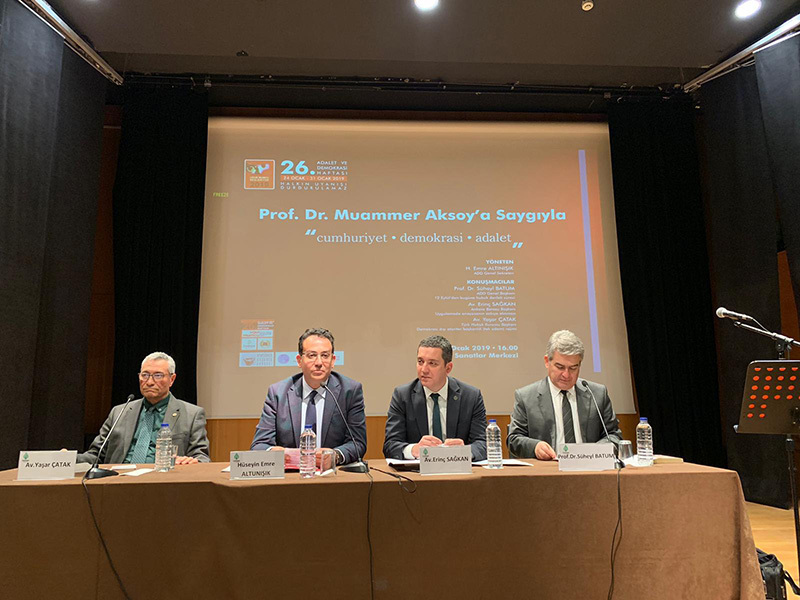 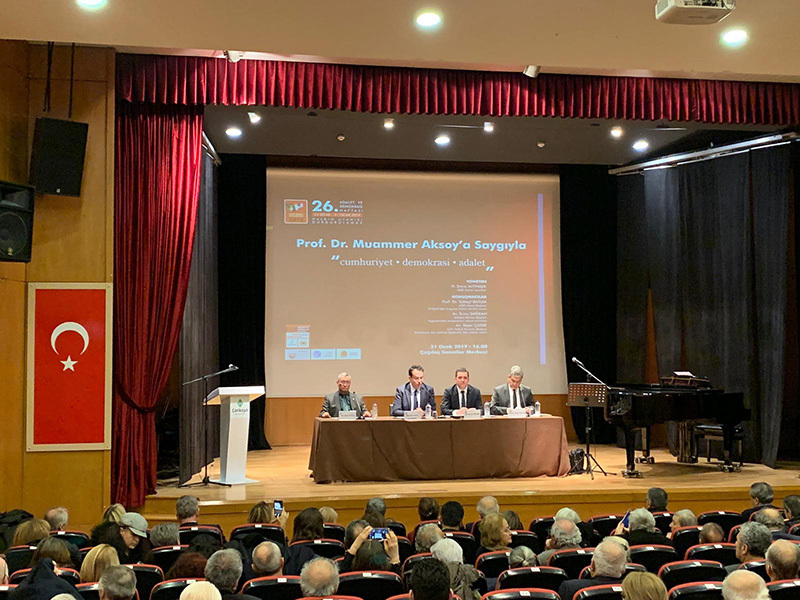 Within the scope of 26th Justice and Democracy Week activities and in memoriam of Prof.Dr Muammer Aksoy, Ankara Bar Association, Atatürkist Thought Asssociation and Turkish Law Institution organized “Republic, Democracy, Justice” open session which was held on January 31, 2019 at Çağfaş Sanatlar Center. 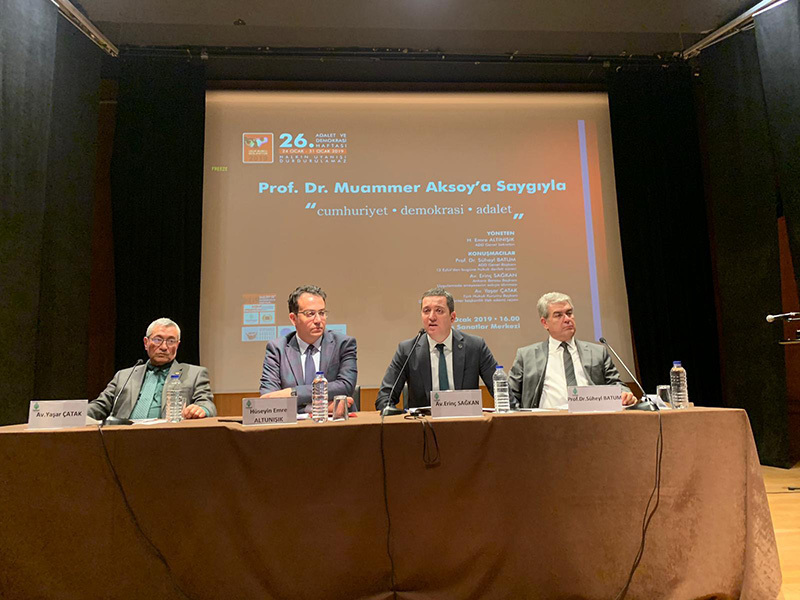 Secretary General of ADD H.Emre Altınışık was the chairman of the open session, Ankara Bar Association President R.Erinç SAĞKAN, ADD Chairman Prof. Dr Süheyl Batum and Turkish Law Institution Chairman attended as speakers. 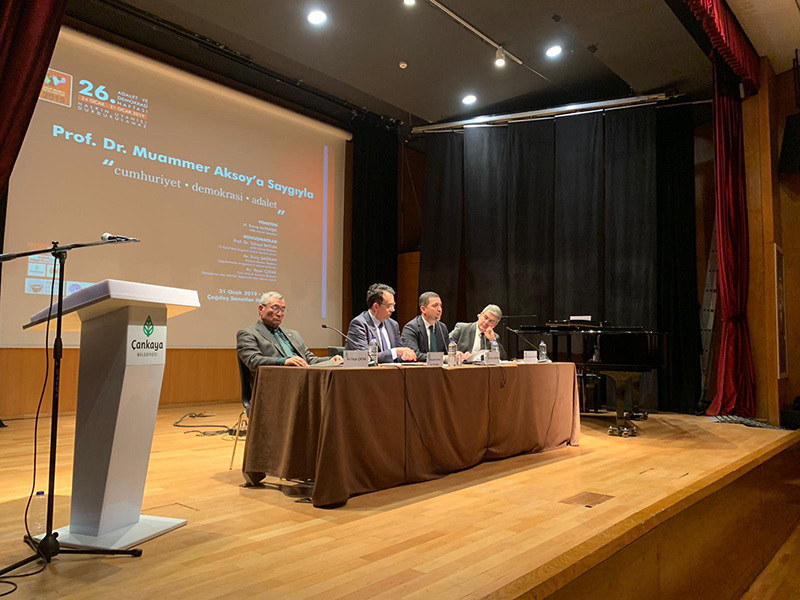 The Open Session followed by Ankara Bar Association Board Members Özgen Hindistan, Meltem Akyol and Burcu Mine Gargın.